Before the cultural passport was developed, Moscow offered two similar cards for tourists: the MoscowPass and the PrimePass. According to Voxxter’s consumer relations manager Vitaly Pustobayev, the advantage of the new pass is that it allows tourists to choose among a large number of museums, the list of which continues to expand. Among the museums on offer, the list currently includes the Pushkin Museum, the Moscow Museum of Modern Art, the Gulag History Museum, and the Jewish Museum and Tolerance Center. The organizers have unfortunately not yet come to an agreement with the Tretyakov Gallery. 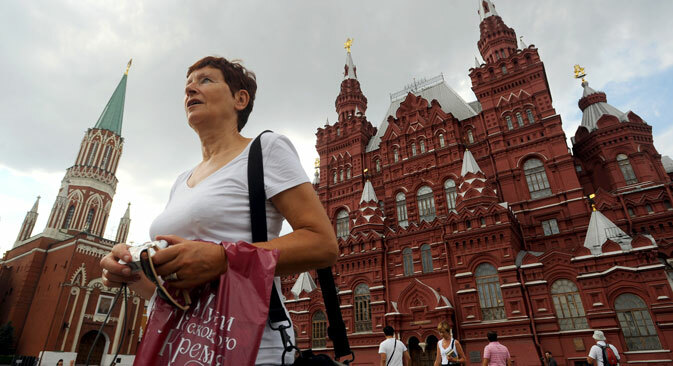 The PrimePass, which costs 1,099 rubles ($24) and is valid daily, allows tourists to visit just five sites, but they do include the Tretyakov Gallery, as well as the Moscow Zoo, the Moscow Planetarium, and the Documentary Film Center. In addition, the card acts as an unlimited ticket for all types of city transport. The MoscowPass offers three rates – for one day, for three days, and for five days, costing from 999 to 2,499 rubles ($22-$55). It also includes a walking and bus tour, a cruise on the Moscow River, entry to 14 museums, and discounts at several restaurants. The PrimePass and MoscowPass have an advantage over the new tourist passport – visitors can get information about and order them in English. The MoscowPass has an English-language website, while the PrimePass has a mobile app and promises to launch an English-language website in December.